Lauren is a graphic designer and photographer based in London, UK. She is also the co-creator of Bare Vintage along with Gus Walsh. Bare Vintage is an online e-commerce business consisting of hand picked vintage designer and sportswear clothing. Lauren has her hands in various creative projects given her wide range of skillsets in the design and photo field, which has allowed her to work on a diverse array of project throughout her career. On a recent trip to Europe, I was able to meet up with Lauren in Shoreditch, London to shoot for her Who Are They feature. 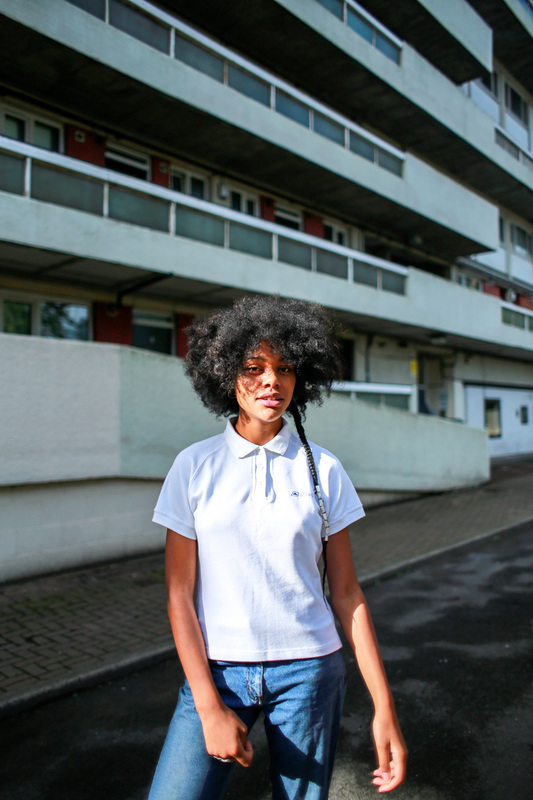 My name is Lauren Sissons and I was born and grew up in South East London. Before High School I moved to a small town in Australia with my parents and siblings, and returned to London 6 years ago after University. When were you first drawn to art? Was creativity always innate and natural for you? I’ve been creating things for as long as I can remember… Looking back through photo albums, as a child I’m always collaging, cutting, drawing or making little books. I’m very lucky my Mum always encouraged this, and always put importance on me having disposable cameras or using her film camera when I was little too. How did you begin to practice graphic design? Did you become a designer before pursuing photography, or vice versa? I always remember loving photography and really exploring it on family holidays in High School, by trying to capture local communities. Once a taxi driver in Asia even saw the cameras and took my Mum and I to his village to photograph his family! Despite this passion, my teachers definitely pushed me more towards studying graphic design at University as they said it would hold more career options. During my course, we touched on photography and although I graduated with a design degree, I’ve never stopped bringing photography to my work wherever possible. Many designers have an eye for photography, and many photographers have an eye for design. They go hand in hand. But actually pursuing both mediums seriously in a career is a whole other game. Do you find it helpful to your design and photo practice to be able to have both of these professional skill sets for one to compliment the other, or do you ever feel like you could focus more on one over the other? They definitely do crossover so much! Since graduating, my day jobs have always been graphic design by title… But there have been so many projects I’ve been able to bring photography to, and even having understanding of photography has benefitted design projects too. What is your favorite type of design medium to work on? Since I went freelance almost two years ago I have been working at a London based agency called Hotel Creative. I’ve been really lucky to work on such a huge range of projects, mainly for Nike - ranging from in store design, events, exhibitions and more. What is your favorite type of photography to create? Film, and more specifically portraits! Do you enjoy the creative scene in London? Do you feel that the environment supports creative talent and growth? I personally think the creative industry in London is very much the same as other cities in that a lot comes down to connections and who you know / where you studied. This is across the industry as a whole, and I’ve experienced this first hand (more so when it comes to photography). With that being said, I think if you are willing to work hard and initiate projects yourself - London is an amazing place for creativity. My boyfriend Gus and I have been doing photoshoots for our personal business for over 3 years now, and from the very first shoot people were just as excited as we were to collaborate in an organic way. Out of 100+ people we have reached out to photograph, I would say only 5 or less have said no, so that has to be a good thing, haha! What is a new skill or something you are looking forward to learning with the design or photography realm of your work? Video! It terrifies me, but at the same time I feel it is the next step I need to push myself to learn more and create the projects I dream of. There is a lot of subjects that I’ve begun to explore in photography, but I feel in order to do some of these projects justice a video based piece would be the next addition. Any upcoming projects or work you’re excited to get into? I have a lot of personal projects I’m hoping to be able to bring to life this year. Working full time as well as running your own business doesn’t leave much time to pursue totally personal work, but I’m already writing down some goals to make them happen. Let’s talk about Bare Vintage. How did Bare Vintage come about? Bare Vintage came to life when Gus and I first moved in together. We were living in a small studio apartment, and between us just had too many clothes (especially him!) He had always worn mainly vintage pieces, especially sportswear, and we began to photograph them in our own style and list them online to sell. It was going really well, our online presence was growing quickly and it was only a matter of time before we began planning photoshoots with people we would find on Instagram, with the purpose of capturing the clothes. 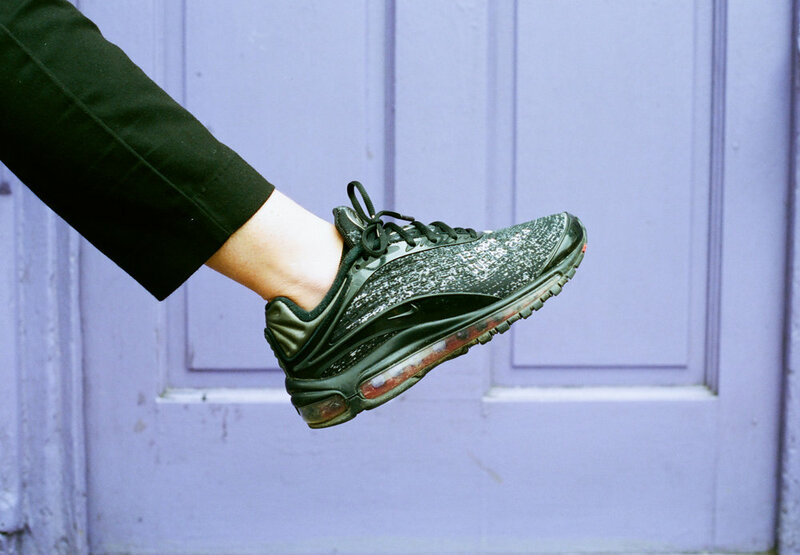 Both of us have a childhood love of 80s / 90s British style which is really a mixture of sportswear and designer pieces, and our photography style of shooting film across some of our favourite parts of London has lent itself perfectly to this. Why is the work you are doing with Bare Vintage important? I hope that the work we have done the past few years has reached further than purely selling clothes or existing as an online store. In the process, we have carefully chosen people to work with and photograph who are from all backgrounds and in turn many of them have gone on to begin careers within modeling which is amazing to see and share our journey with them. What are you most drawn to photographing subject wise or content wise? I’ve always loved photographing people more than anything else. If those photos can capture an emotion or tell a story then I am most proud of those pieces of work. Recently for black history month in the UK, Gus and I photographed 31 portraits accompanied by their stories, sharing one each day for the 31 days of October - which marked the 31st BHM in the UK. This particular series was the biggest we have ever challenged ourselves with and definitely the most personally meaningful, as it included almost entirely friends and family. I’d like to set myself a lot more projects like this through 2019 and am already excited to see what comes from this! Any other last comments or advice to the creative who is pursuing both design and photography? I would say keep creating content that you love, and don’t feel like you have to choose between one or the other. If you’re pursuing a career in one, keep pushing yourself to create work in both. You never know what opportunities may come about.